Mr. Gruss set many guidelines for bridges to qualify. 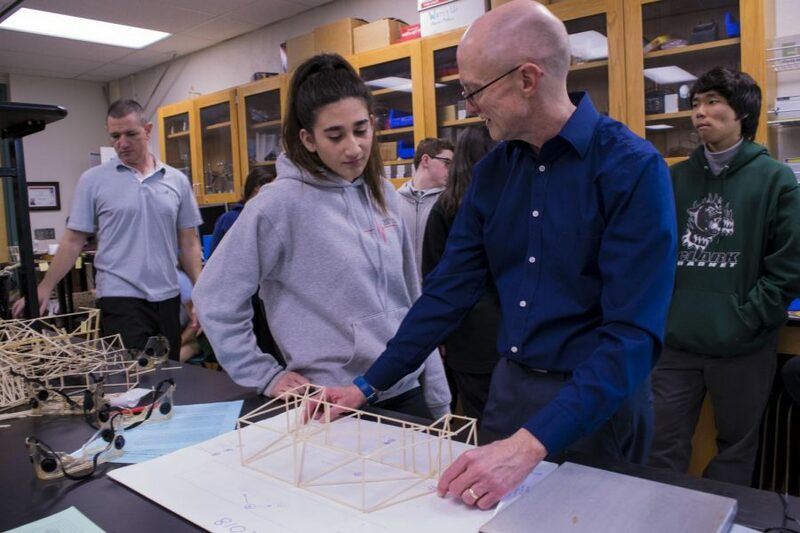 Upon their return from spring break last Tuesday, students rushed into physics teacher Gerald Gruss’s class before the 8 a.m. bell could mark them late, hurrying to turn in their submissions for Clark’s 17th annual bridge-building competition. This hectic early-morning rush was followed by a three-day intermission during which students waited with baited breath until the day their bridges could be put to the test. All bridges had to pass Gruss’s close examination, during which he considered many requirements before marking them as qualifying bridges. The bridges, for instance, had to span a length of at least 25 centimeters, be less than 15 centimeters high, and be more than five centimeters wide, among other criteria. 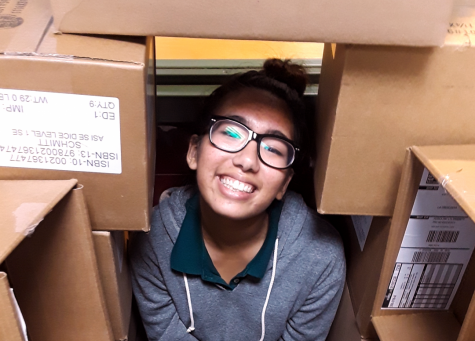 As the competition has been held in Gruss’s room for 17 years, it can be difficult to come up with new rules, but Gruss does have some inspiration. “I consult the rules for the International Bridge Building Contest, and work from there,” said Gruss. The International Bridge Building Contest, hosted by the Illinois Institute of Technology, is open to high school students around the globe. The rules and methods of testing are similar to those used in Clark’s competition, which allows students to be competitive without worrying about travel to Illinois. Students were trusted to steady their buckets and add weights. 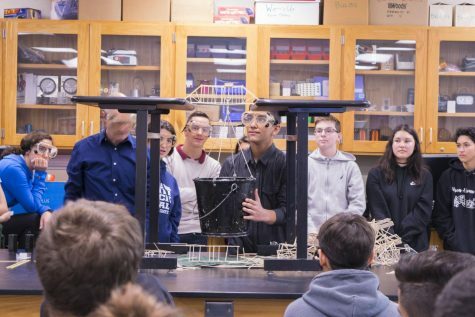 After long weeks of building their bridges, and the additional three-day wait, physics students entered class on Thursday or Friday to test their creations. After donning safety goggles, participants gently laid their bridges upon tables spaced 25 centimeters apart, and nervously steadied a swinging 2-kg bucket, which dangled from their bridges to be filled with — what would hopefully be — many five-kilogram weights. Students were entrusted with the responsibility of placing the additional weights into their buckets. Each participant grabbed a weight and slowly lowered it into the bucket, eyes alternating focus between their bridge and the weight’s destination. Their peers stared from behind the testing table, turned around in their chairs for a better view while whispering bets on how much longer each bridge would hold up. 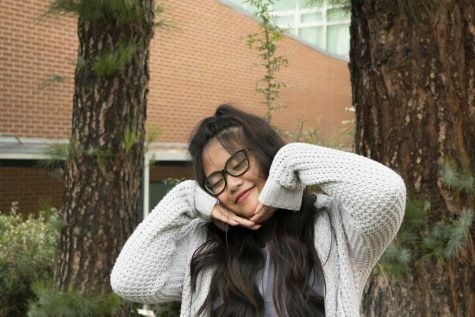 Interests/Hobbies: Breathing, reading, sleeping, and eating. Goals in life: Live until 29.